Holy Everything: A few pictures of the weekend. A few pictures of the weekend. Joshua beside the Bean downtown. Joy and I at our senior class dinner/party. 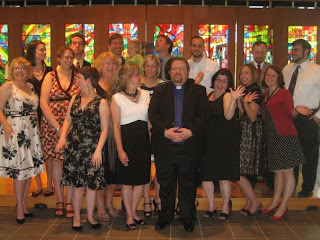 Silly picture of a portion of the seniors after our last worship in the chapel. great pics!! you look lovely as always! !